Polcom VVX 500 supports expansion modules for applications such as personal videoconferencing and wireless networking. It is easy to deploy and manage with an enterprise-grade configuration method, so administrators can easily provision and maintain handsets throughout the enterprise. 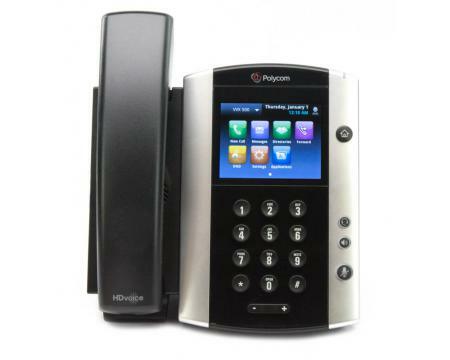 All VVX 500 phones can quickly switched between Generic SIP and Microsoft Lync/Skype in the phones main menu. 025 and 001 phones come ready for Generic SIP and 018 and 019 phones come ready for Lync/Skype.